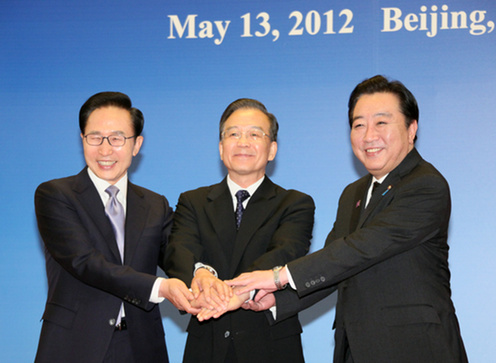 On May 13, China, Japan, and Korea concluded a trilateral investment agreement, promising stronger protection of foreign investment and deepening their commitment to international arbitration for resolving disputes with foreign investors. The three nations have previously concluded several bilateral investment treaties among themselves, including a 1988 treaty between China and Japan, and a 1992 treaty between China and Korea. However, the rights granted in those agreements were more circumscribed. For example, investors had the right to submit claims to international arbitration only in the case of expropriation and only for a determination of compensation owed under national law (rather than international law). A more recent treaty between Korea and Japan provided stronger investor protections. Following that lead, the new trilateral treaty establishes all three countries' firm commitment to relinquish national jurisdiction over investment claims by one another's nationals. The treaty may herald a broader shift toward increased integration among the three economies. Trade representatives involved in the treaty negotiations announced that efforts will begin in earnest this year to conclude a free trade agreement. A China-Japan-Korea trade area would be an historic development in international economic law, dwarfing both the NAFTA trading bloc and the EU in population size and surpassing the EU in share of world output, at around a quarter of global GDP. However, it remains to be seen whether a free trade agreement between the largest East Asian economies is politically feasible—such a treaty would dramatically impact the agricultural sectors of Korea and Japan, which maintain among the world’s heaviest farm subsidies.